The Roland HP-603 CR Digital Piano combines the latest digital technology to deliver an aesthetically-pleasing instrument with a great price/performance ratio. The latest SuperNATURAL Piano sound engine is incorporated in this piano that produces a richer and more detailed sound than would be produced via conventional sampling. 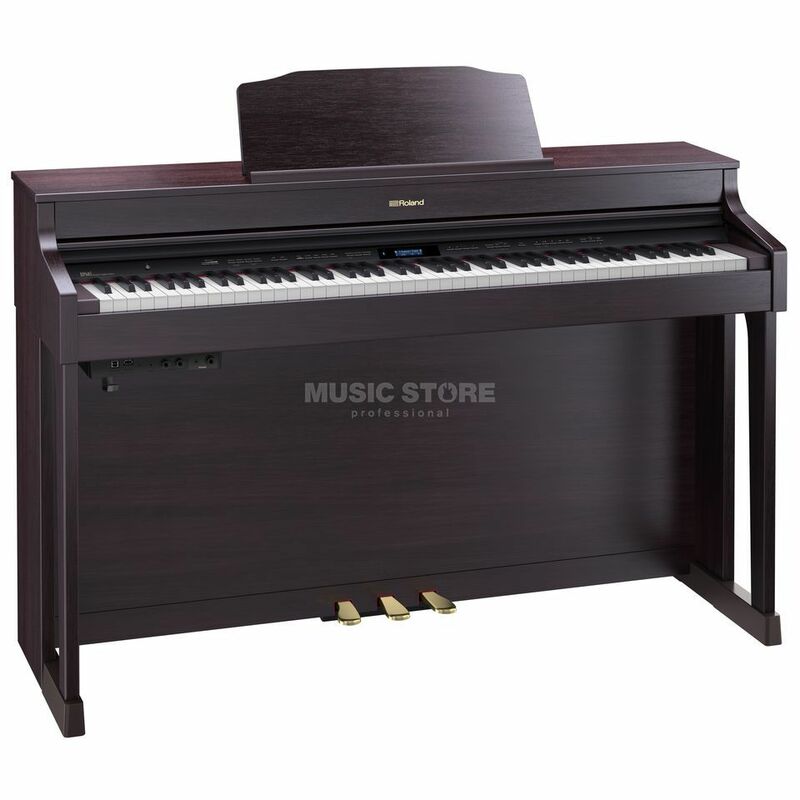 A PHA-50 progressive hammer action keyboard with Escapement provides an authentic piano touch and combines the appearance and feel of wood with the durability of modern materials. These advanced keys allow you to fully experience the powerful modelling of SuperNATURAL Piano’s rich tonal deviations and natural dynamics that are reminiscent of an authentic grand piano. A large and versatile collection of non-piano sounds, including strings, brass and organs, are incorporated into the powerful sound engine of this piano. You can also enjoy the unique sound field of an acoustic piano during private practice from the inclusion of the Headphones 3D Ambience effect. This offers a rich sound experience that completely immerses the player in their own music. You can use your smartphone or tablet device to turn sheet music pages with Bluetooth for a wireless and convenient experience. A large onboard library of songs includes everything from piano classics to popular études, for example Czerny 100 and Hanon. Lastly a built-in recorder enables you to capture your performances as MIDI or audio files.